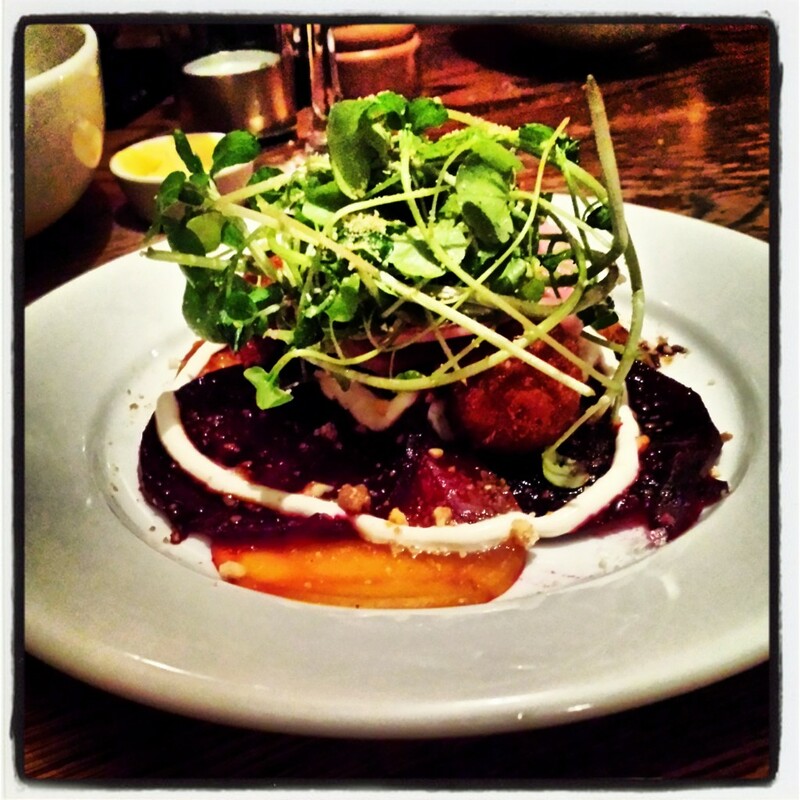 The London food scene is bursting with Latin American flavours this year. From the Peruvian cuisine at trendy Coya to the incredible fusion at Sushi Samba, we are spoilt for choice with some fantastic dining options. The latest on my list of favourite London restaurants is Zoilo, a lovely little Argentinian restaurant by renowned chef Diego Jacquet and Alberto Abbate. The duo also run Casa Malevo, another popular Argentine restaurant in London. 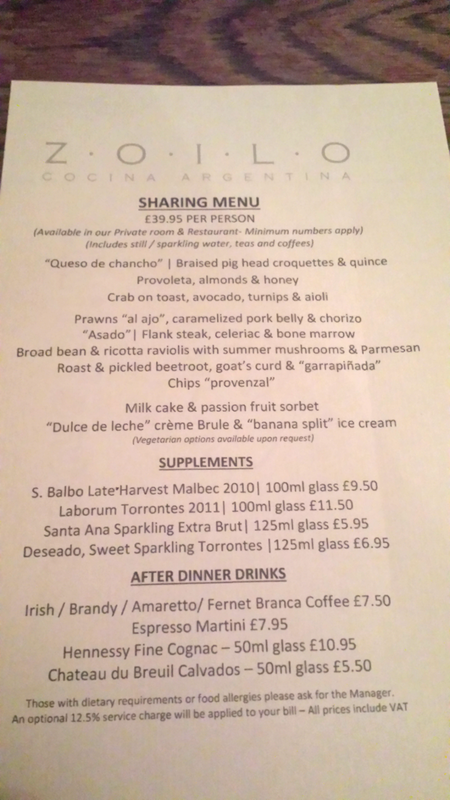 We were seated in the beautiful, private dining room at Zoilo and served a selection of small plates from various regions of Argentina as part of Zoilo’s sharing menu. 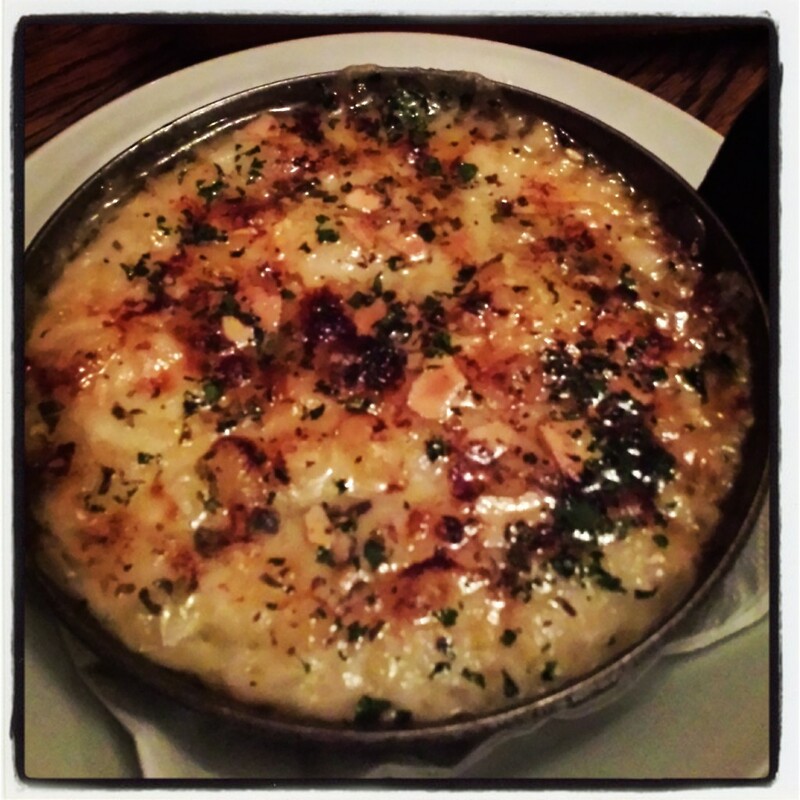 Here are some mouth-watering highlights from Zoilo! An Argentine specialty – Provoleta. Grilled provolone cheese with toasted almonds and honey. Delicious. 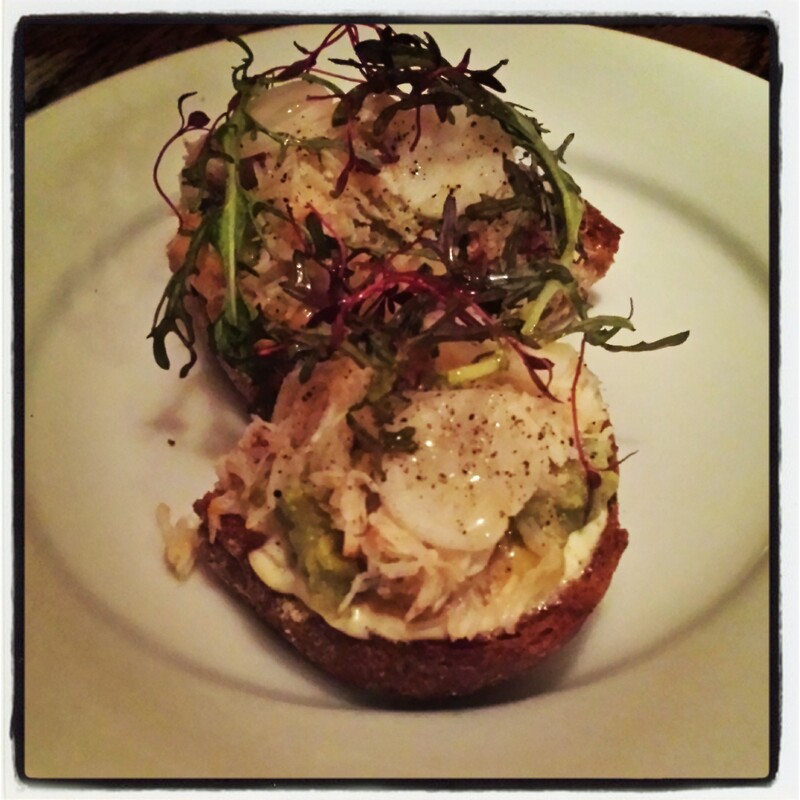 My personal favourite: Crab on toast topped with avocado, turnip and aioli. Yum. 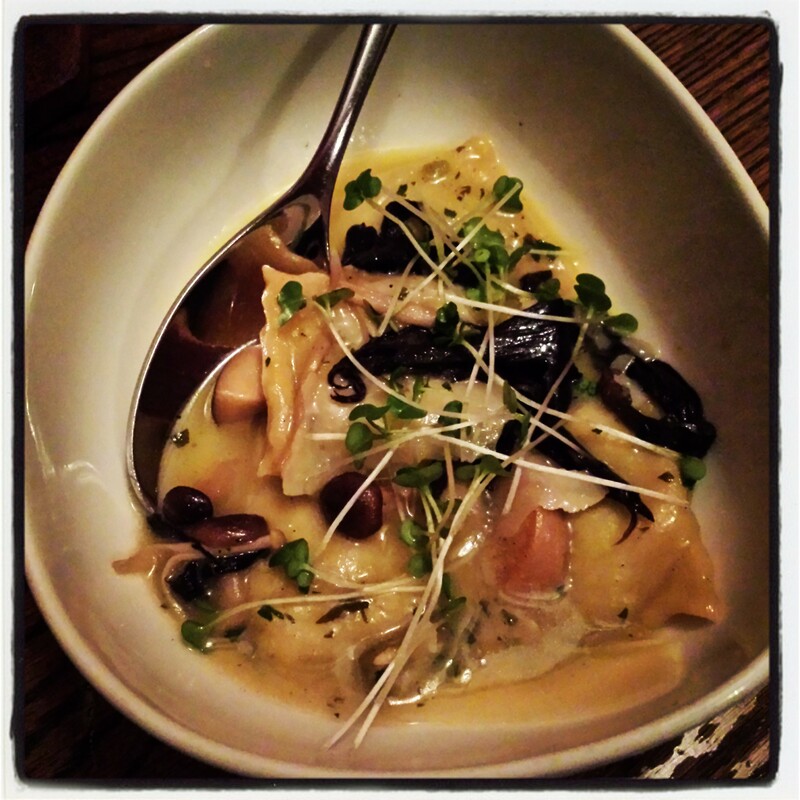 Another Zoilo favourite with an Italian influence: Broad bean and ricotta ravioli with summer mushrooms and parmesan. 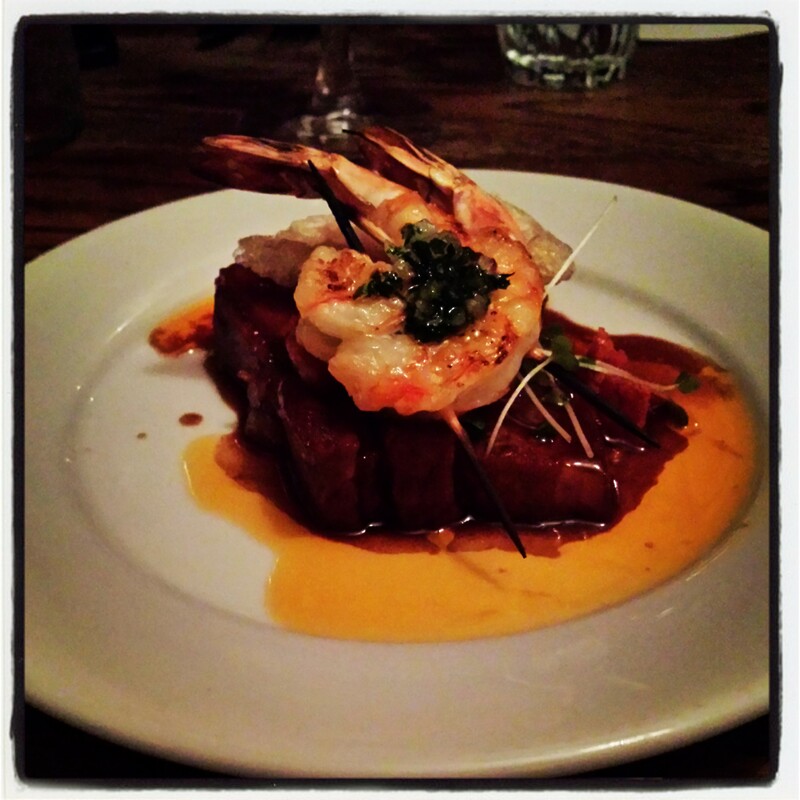 Prawns sauteed in garlic, caramelised pork belly and chorizo. Wow. 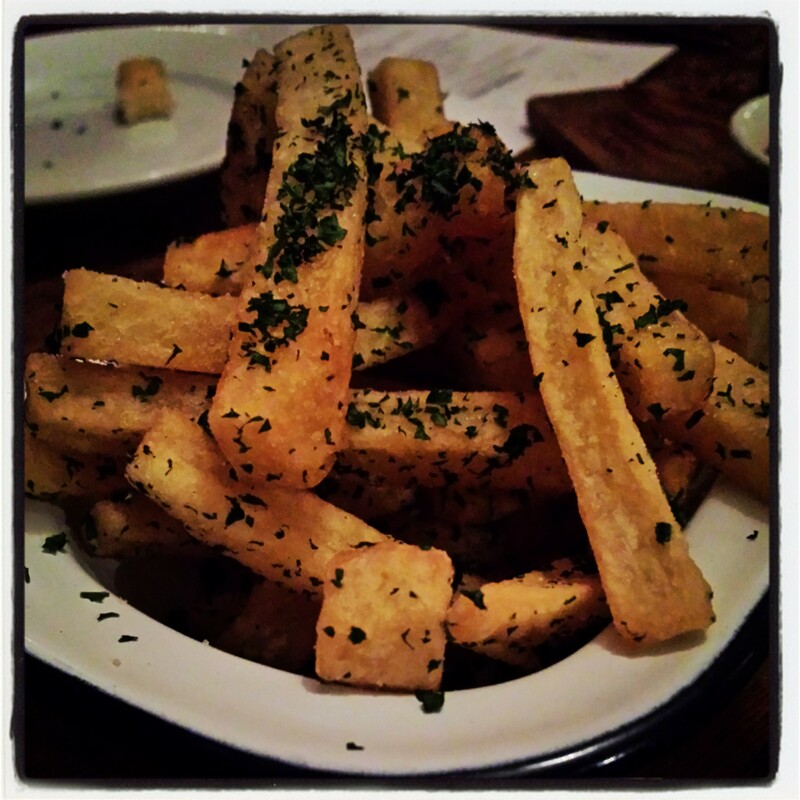 Chips ‘Provenzal’ – Excellent but sadly, I was too full from the rest of the meal to enjoy the chips. Never too full for dessert though! 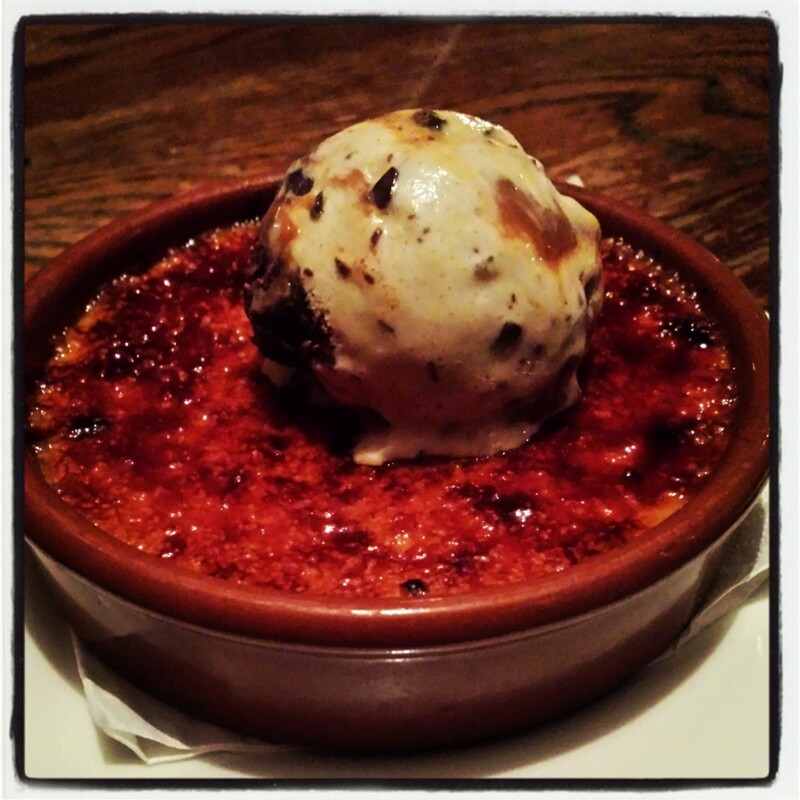 😉 The Dulce de Leche Creme Brulee at Zoilo is DIVINE. Definitely one of the best desserts I have had in a long time and a perfect end to our Argentine feast. 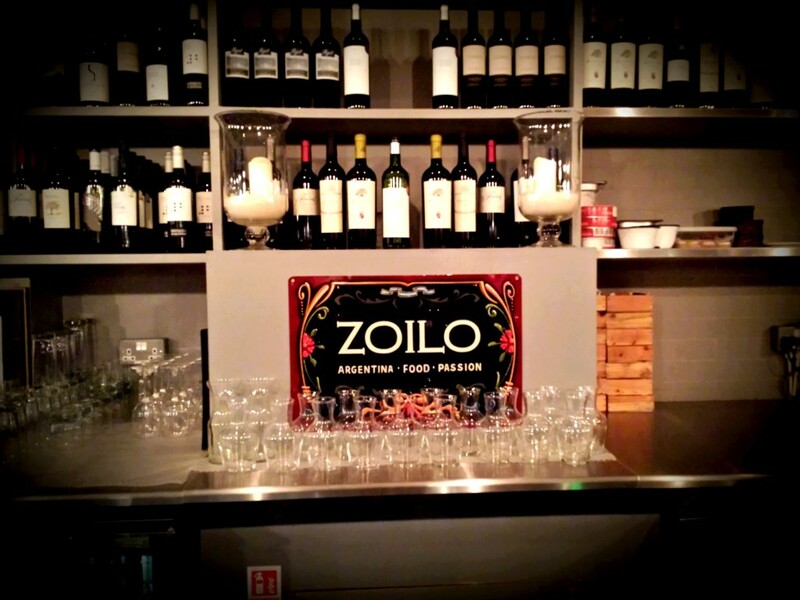 Zoilo has a very relaxed ambience and the spectacular flavours accompanied by a great selection of Argentinian wines make it a wonderful dining experience. Highly recommend it!